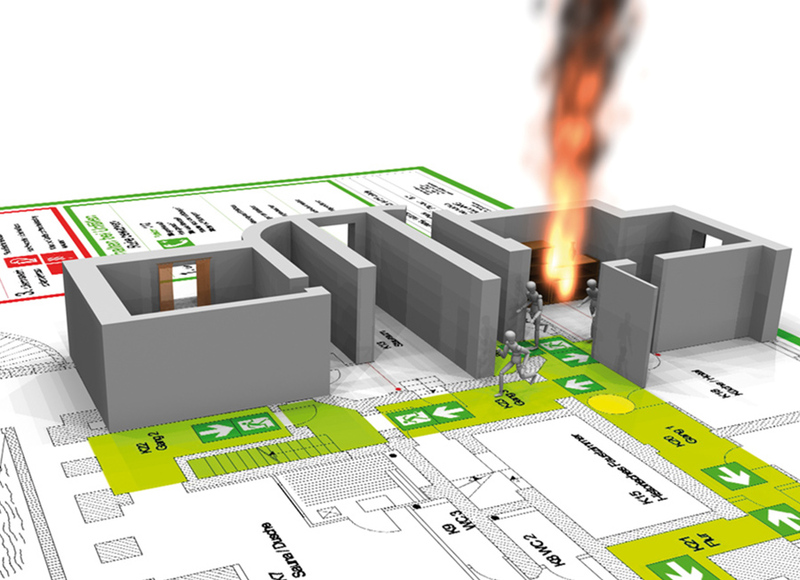 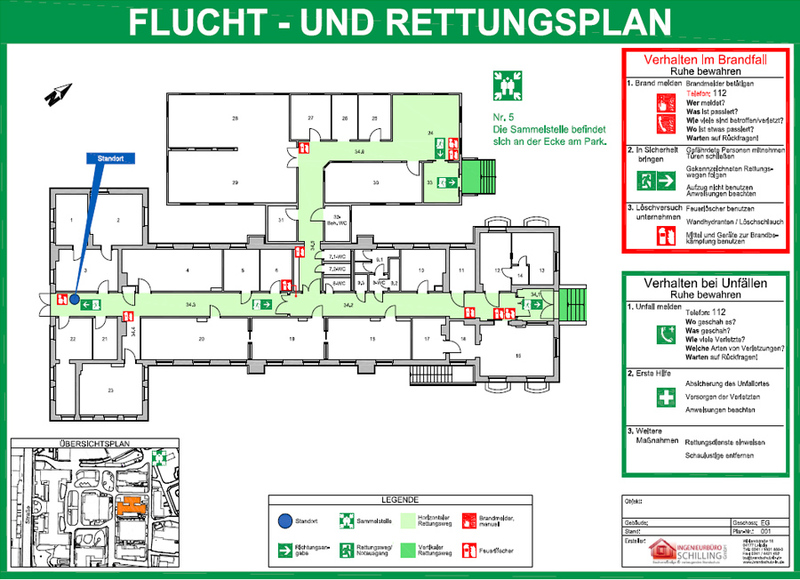 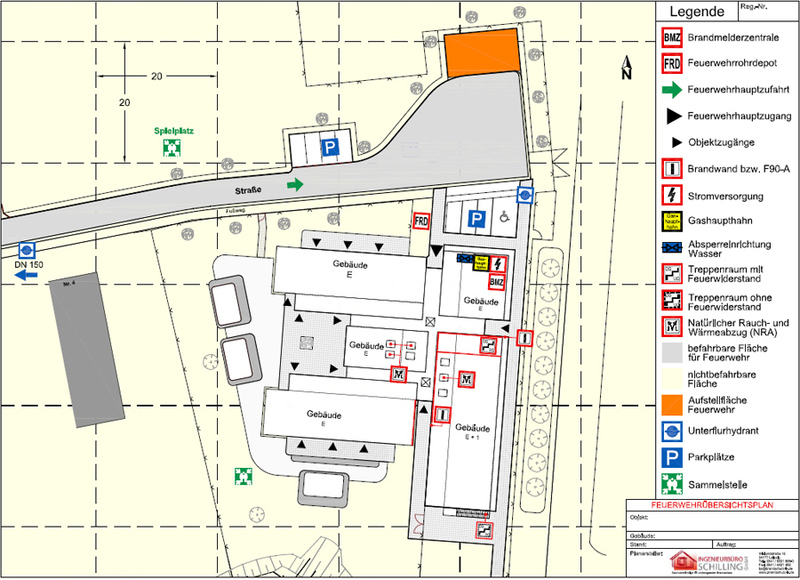 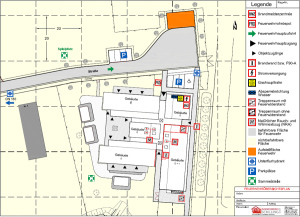 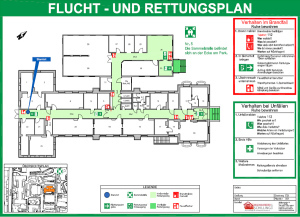 Escape and rescue plans serve firefighters to orientate themselves and evaluate the situation in case of a fire in the building. 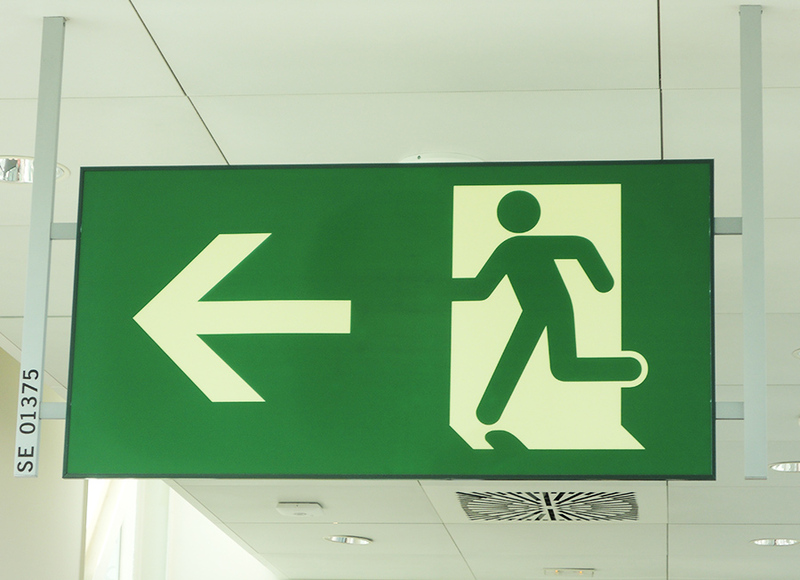 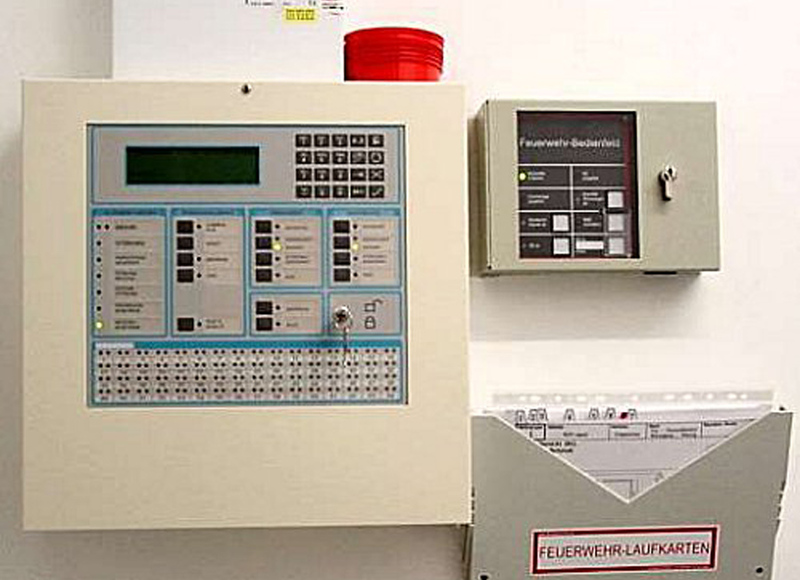 An escape and rescue plan will show escape routes, local conditions such as stairwells and exits, fire and smoke doors, locations of fire alarm systems, particularly vulnerable areas, etc., so the fire services can be coordinate efficiently. 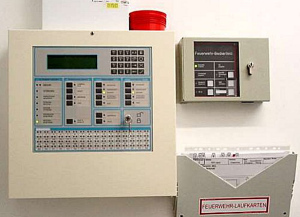 On the basis of an emergency plan, the responsible officer-in-charge must be able to make important decisions very quickly, that are necessary for a fast firefighting.